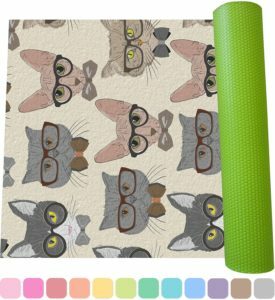 Tatami yoga mat are an eco-friendly and durable alternative to traditional foam or rubber yoga mats. If you want a different, natural texture, consider trying out tatami-based mats. 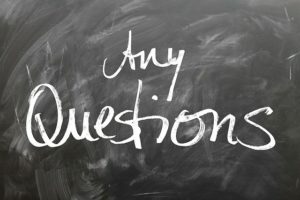 Below are reviews of three different tatami yoga mats for you to check out. The Milliard tatami yoga mat has many great reviews over on Amazon. Not only is it stunning to look at, but it’s comfortable and it can completely support your weight without slipping around on the floor. After all, there’s nothing worse than trying to hold an asana and feeling the mat run away from you. It’s resistance to slipping can be credited to its rubber back. 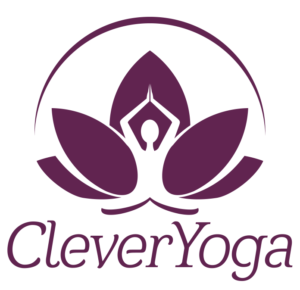 This yoga mat is absolutely essential for those of us who sweat a lot during a yoga practice. The natural materials completely soak up the sweat so that the top layer of your mat doesn’t get wet. 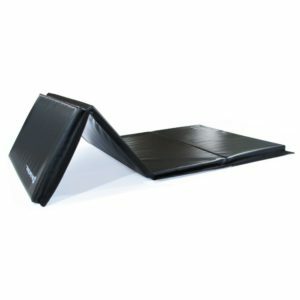 The Souvnear Tatami Yoga and Meditation Mat is an all-natural and affordable bargain. Even the tallest of people can practice on this Tatami Yoga Mat because it’s over six feet long and three feet wide! 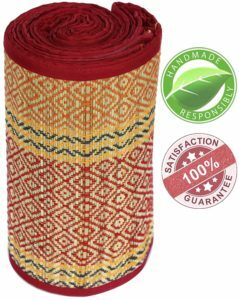 Made from Darbha grass and completely free of chemicals, this yoga mat is entirely eco-friendly. Perhaps one of the best qualities of this yoga mat is that it’s completely usable when you travel because you can easily roll it up and carry it under your arm. It’s also much lighter than other foam yoga mats. 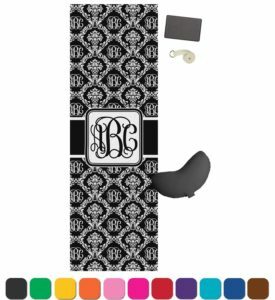 If you want a more bohemian or natural style of yoga mat, this is a great choice. 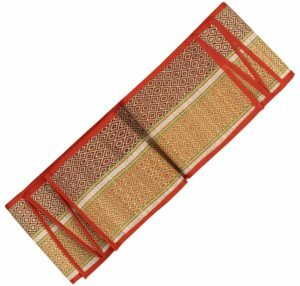 While other tatami yoga mats are often made of grass, this Straw Floor and Yoga Mat is made from, well, straw. 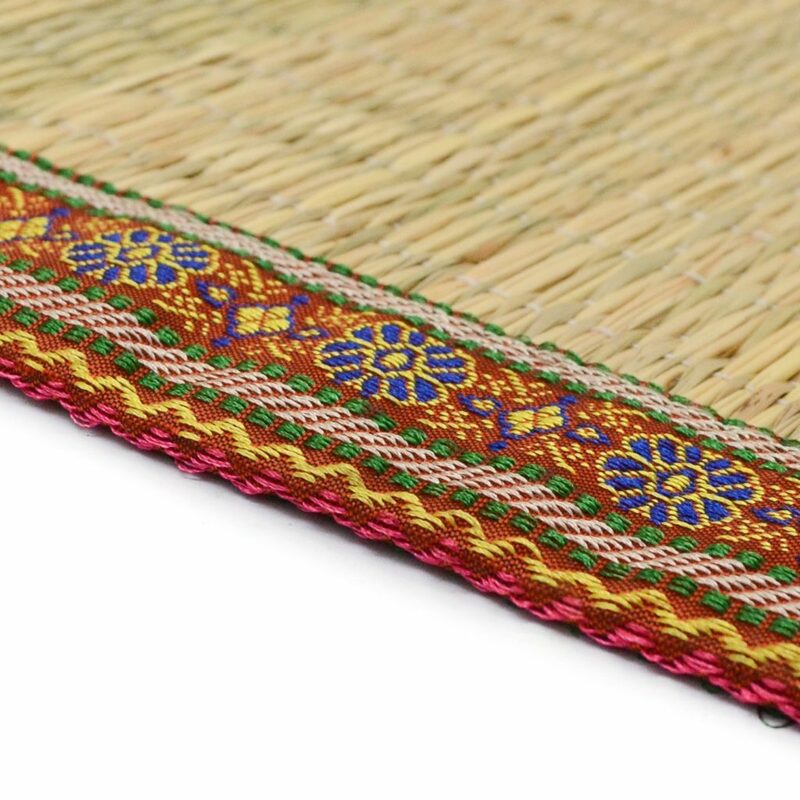 Like the previous one, this straw floor mat is six feet tall and three feet wide; therefore, most people are able to practice on it. 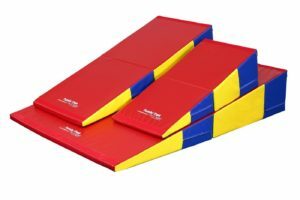 Not only this, but you can buy the mat in three other colours. There’s white, white-black, and multi-coloured mats. 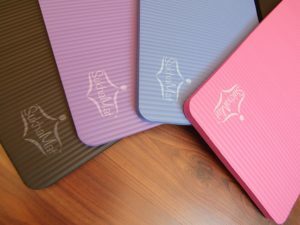 Customer reviews rave about the mat and one person even claims to have bought six of them! And it’s not just useful for yoga; you can also meditate with it. Tatami yoga mats are lighter and more eco-friendly than traditional yoga mats. 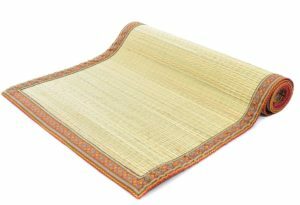 If you don’t want the commercialized, posh brands, and neon-colored fabrics, consider something more organic and natural like a tatami mat for your yoga and meditation practice.